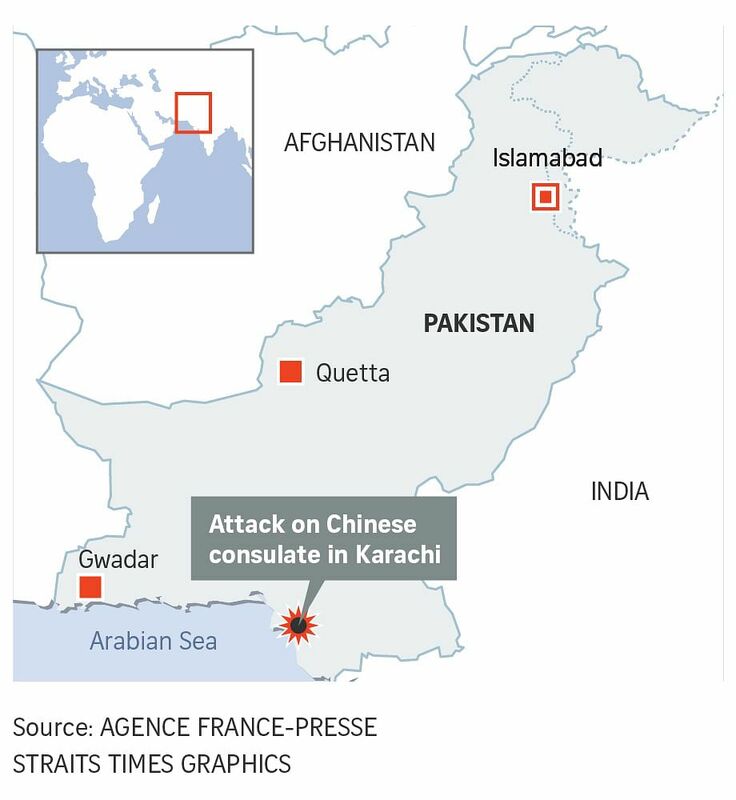 KARACHI (REUTERS) – Three suicide attackers stormed the Chinese consulate in the Pakistani city of Karachi amid a series of gunshots and an explosion on Friday (Nov 23), but were killed before they could force their way in with a car packed with explosives, police said. A suicide attacker on a motorbike set off explosives in a crowded festival and market in north-west Pakistan’s Orakzai region, killing at least 25 people at around the same time as the Karachi bloodshed. The blood-letting comes as faint hopes for peace in Afghanistan have been stirred by two meetings between US special envoy Zalmay Khalilzad and the Taleban in Qatar. India and the United States also accuse Pakistan of supporting the Afghan Taleban. Pakistan denies that. The Taleban, who are waging a war to oust the Western-backed Afghan government and expel foreign forces, have launched a series of high-profile attacks against Afghan security forces in recent weeks. The blast in Pakistan’s Orakzai region was also at a Friday festive gathering. There was no claim of responsibility for either of those blasts.